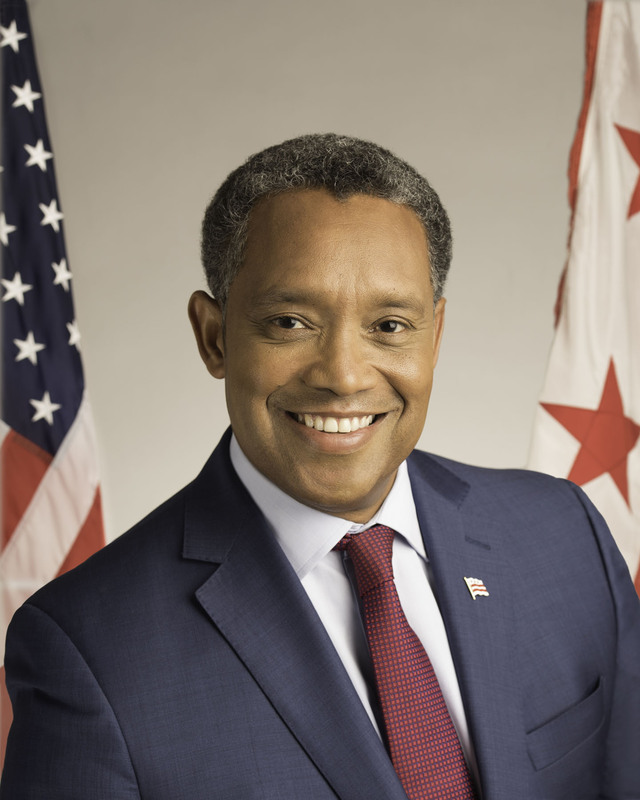 Karl A. Racine was sworn in as the District of Columbia’s first elected Attorney General in 2015 and was reelected to a second term in 2018. Attorney General Racine is honored to serve again and will use the next four years to expand work on priorities, including preserving affordable housing, employing evidence-based juvenile justice reforms, cracking down on slumlords, holding unscrupulous employers accountable for wage theft, and protecting consumers from scams and abusive business practices. He is also committed to making investments in new efforts to protect seniors and other vulnerable residents, interrupt violence in the District, address childhood trauma, and more. Through his work as vice president of the bi-partisan National Association of Attorneys General and as co-chair of the Democratic Attorneys General Association, Attorney General Racine also speaks out for D.C. autonomy at the national level and pushes back against federal government policies that harm District residents. Attorney General Racine draws on over 25 years of legal and leadership experience in his work on behalf of District residents. Over the course of his career, he has worked at the D.C. Public Defender Service, where he represented District residents who could not afford a lawyer, served as Associate White House Counsel to President Bill Clinton, and worked on criminal cases and complex civil litigation at private firms. While in private practice, he was elected managing partner of his firm, Venable LLP, and became the first African-American managing partner of a top-100 American law firm. Born in Haiti, Attorney General Racine came to the District at the age of three. He attended D.C. public schools, including Murch Elementary, Deal Junior High, and Wilson High, and graduated from St. John’s College High School. He earned a B.A. from the University of Pennsylvania, where he was captain of the basketball team, and a J.D. from the University of Virginia School of Law, where he volunteered in a legal clinic supporting the rights of migrant farm workers. His commitment to equal justice was inspired by his parents, who fled authoritarian rule in Haiti to start a better life in the United States, and by the lawyers of the Civil Rights Movement, who used the law to make positive social change. Outside of his official role, Attorney General Racine remains involved with a variety of causes, including youth literacy and mentoring. He lives in Ward 1. Data-driven reforms to the juvenile justice system. Protecting consumers from fraud, scams, and harmful business practices. Preserving affordable housing and protecting renters in communities across the District. Advancing democracy and safeguarding public integrity. In order to keep District residents safe and ensure our young people have a chance to succeed, Attorney General Racine has instituted several reforms to the juvenile justice system, including expanded options for rehabilitating low-risk juvenile offenders. One of these options, the Alternatives to Court Experience (ACE) Diversion program, has achieved early success with approximately 80 percent of participants not being re-arrested after completing the program. Under Attorney General Racine, OAG has increased participation in the program five-fold, positively impacting young lives and increasing public safety Attorney General Racine has also helped end mandatory shackling of juveniles appearing before D.C. Superior Court and implemented a first-of-its kind restorative justice program. To protect all District consumers, and especially vulnerable residents targeted by scammers, including seniors and immigrants, Attorney General Racine established the Office of Consumer Protection (OCP). OCP receives consumer complaints, mediates disputes, educates residents, and if necessary, files enforcement actions against individuals and companies who defraud District residents. Visit the OCP homepage. The current affordable housing crisis is one of the District’s most pressing problems, and Attorney General Racine is working to ensure that longtime residents can stay in their homes and benefit from our region’s economic boom. He has acted in numerous cases to crack down on slumlords and stand up for renters, preserving existing affordable housing and making sure that District residents have access to safe conditions in their homes. Learn about what tenants can do to protect themselves and how OAG can help. Attorney General Racine is working to ensure that the District government serves residents and taxpayers. That is why he has supported comprehensive campaign finance reform. That’s also why he has bolstered OAG’s efforts to fight fraud against District taxpayers and took action against non-residents who fraudulently enrolled their kids in D.C. schools, Certified Business Enterprises (CBEs) that made fraudulent claims fraud, and others.